I bought these bits a year and a half ago. They were a “name brand” and in a price range I could afford at the time.This was a major mistake on my part. I bought an expensive sticker with crappy bits in the box. These bits are very cheap and not worth your time or money. I’ve seen reviews on these bits before usually stating that the person just bought them and they work great. That’s the truth. They work great during the “30 day satisfaction” period. These bits dull very quick and heat up even quicker. Over time they will just give you frustration and need to be resharpened over and over. The only thing they are good in is to drill in pine or other soft woods (if that). Don’t waste your money. Buy a quality bit, one at a time if that’s all you can afford. Hmm. I bought the same set a couple years ago. I guess I’ll replace them one at a time..
Yeah, I bought same set for $15. As cheap as they were I’m not surprised. I have noticed that they have dulled, but I can’t complain much for $15. Well I was about to go out and spend a $50 Lowes gift card on these. Thanks for steering me away, now I can pick up a Marples ripping blade. Hmmmm, – I have the same set I purchased about 3 years ago – I’m wondering if the have cheapened them up as mine has held up well drilling into oak and walnut. Sometimes the drill press is the culprit. I’m not saying that’s the case here, but it was for me. I started woodworking with a bench top drill press with a “slow” speed of 600 rpm – too fast for large bits. When I used a larger diameter forstner bit, smoke would rise up from the hole and the bit would get hot enough to turn blue – ruining the temper and dulling the bit. 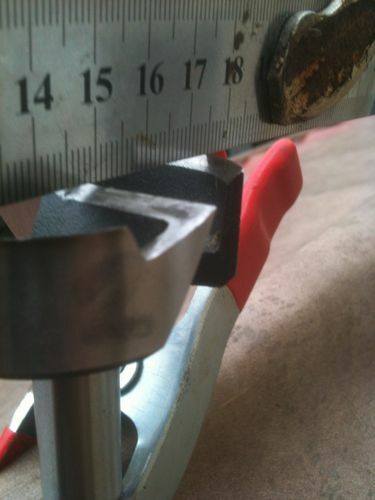 After I upgraded to a drill press with a slow speed that’s under 200 rpm, the problem disappeared. I have a set of these about two years old. The 7/8” bit has drilled over 50 holes, a lot of those holes end grain, into the sides of all those guitars to make the hole for the jack. Just in the last 4 or 5 did I have to sharpen the 7/8” bit once then it was fine again. All the other ones don’t have that kind of use, but I drill some tough exotic hardwood, and so far, so good. Maybe you got a bad cast or they changed suppliers? Mike, I like your theory. I could define tilt see the high speed killing a larger bit. My smaller bits however are the same way. I may have got the bad batch or something. I do use a bench top press, so maybe guys should stay away from these bits if they have the benchtop versions. I would think that drill bit suppliers would consider guys using a benchtop drill press though instead of just manufacturing for floor models. I am familiar with cheap Forstner bits. Mine are not P.C. brand, but probably similar quality. I sharpen them with diamond hones to keep them going. The slowest setting on my d.p. seems to work best. You get the feeling that P.C. is just putting their brand on stock items to make them sell. Same with Dewalt. Although I really like my Dewalt tools, their blades and sandpaper are not always top notch. I’ve been using the exact same set for about a year now without any trouble, drilling very hard woods. I’ve spent probably more money on “cheap” tools than on quality ones over the few years I’ve been woodworking, including “cheap” brand name sets of forstner bits/drill bits and router bits. Found almost universally that they all dull quickly. I’ve started buying all of them individually and although the initial expense is more, in the long run I’ll save money. i bought a set less than a year ago and figured they’d be decent but didn’t know how much i would use them.so far no problems but will invest in better ones later on.thanks for the review. I have a reasonably good (expensive) set of Forstner bits, and they cut very well, apart from the biggest one which is 54mm. You would think it would be the easiest to grind and sharpen. 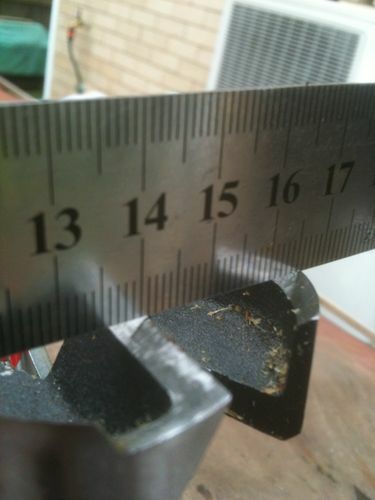 All it did was cut an edge circle and then chewed at the timber, no nice wafer of material spiralling out ! I guess it saves on having to sharpen both blades as this blade will never cut! This was brand new unused straight out of the box. The gap is so bad it cannot even be ground out, and typical the buy price for a single one to replace it is almost as the set price. i have heard the same thing about these. Sorry to hear about this and good luck.